All Villages At Lynx Creek homes currently listed for sale in Dewey-humboldt as of 04/24/2019 are shown below. You can change the search criteria at any time by pressing the 'Change Search' button below. "EXTRAORDINARY OPPORTUNITY TO OWN ONE OF THE GRANDEST HOMES IN THE COMMUNITY! THIS HOME HAS A WONDERFUL ADDITION THAT WILL BE A DELIGHT FOR ENTERTAINING ALL YOUR FRIENDS AND NEW NEIGHBORS. PANORAMIC VIEWS OF MOUNTAINS & GOLF COURSE. ENJOY DINING AT THIS HOMES LARGE RECENTLY REMODELED KITCHEN FEATURING A HUGE PANTRY, NEW CABINETRY, GRANITE COUNTER TOPS & NEW APPLIANCES!. THERE IS ALSO A LARGE FORMAL DINING AREA THAT WILL BE A DELIGHT WHEN ENTERTAINING GUESTS. THIS HOME HAS PLENTLY OF ROOM FOR OVER"
"NOTHING ELSE COMPARES TO THIS EXQUISITE GRAND HOME. WONDERFUL OPEN GREAT ROOM FLOOR PLAN WILL BE YOUR DELIGHT AND THE ENVY OF YOUR GUESTS. LARGE EAT IN KITCHEN FEATURES UPGRADED CABINETS, COUNTER TOPS, BACKSPLASHES, ISLAND AND NEWER APPLIANCES. MASTER SUITE IS ENORMOUS FEATURING LARGE INCORPORATED LOUNGE AREA. EXPENSIVE PLANTATION SHUTTERS IN LIVING ROOM AND DINING AREA WITH UPGRADED WIDE SLAT BLINDS IN ALL OTHER ROOMS. SPLIT BEDROOM FLOOR PLAN, PRIVATE SCREENED PORCH AND OVERSIZED TWO CAR GARAG"
"Nestled in The Villages At Lynx Creek, a 55+ community with great amenities! 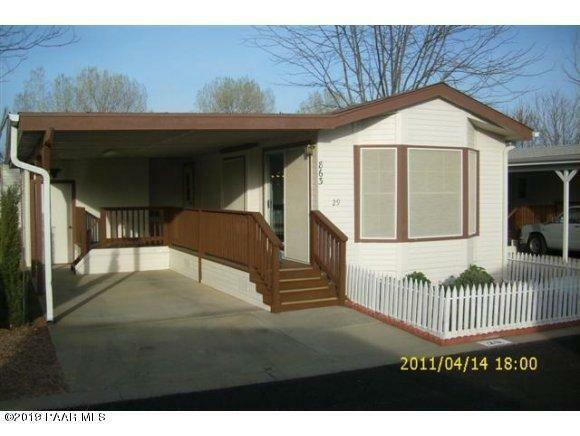 3 Bedroom, 2 baths, with walk in handicap large shower in master suite bath. Eat in kitchen, dining room area, family & living rooms, laundry room, all appliances stay, open deck with handicap ramp for easy access to front door, extra room off the laundry room, can be a 2 car garage if parked single file. Maintenance free landscaping with fenced backyard and lovely open patio. Could be summer home, however, is perfect f"
"Great weekend/summer retreat or ideal year round living. 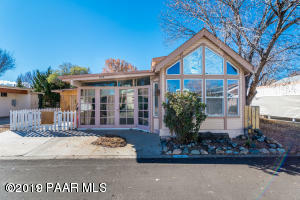 This property has been updated top to bottom. 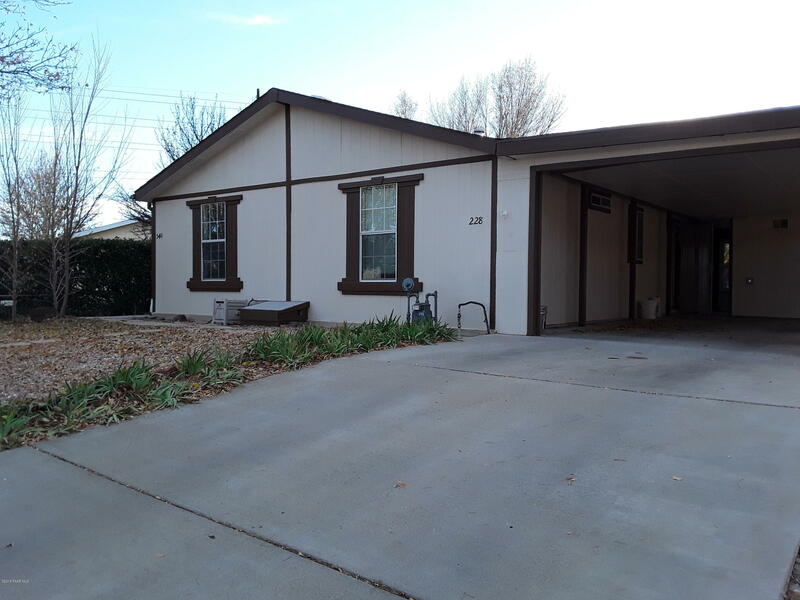 The property has a new roof June 2017, updated flooring, a recent covered patio built, recently added garage, and has been painted on the exterior. The living /dining room are open and airy with a kitchen counter bar. There is a wonderful covered patio to enjoy the great evenings! There is a large storage shed in the back yard ideal for storage or even a mini workshop. 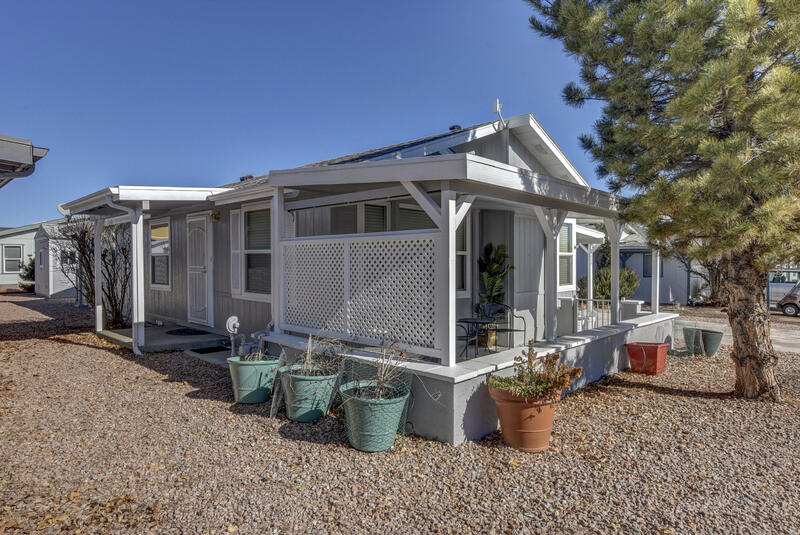 There is also a sto"
"Property has recently been updated with granite countertops, new sinks, faucets, light fixtures, new dishwasher and flooring. Property has been leveled in Oct. 2018. Furnace and A/C is 6 years new. 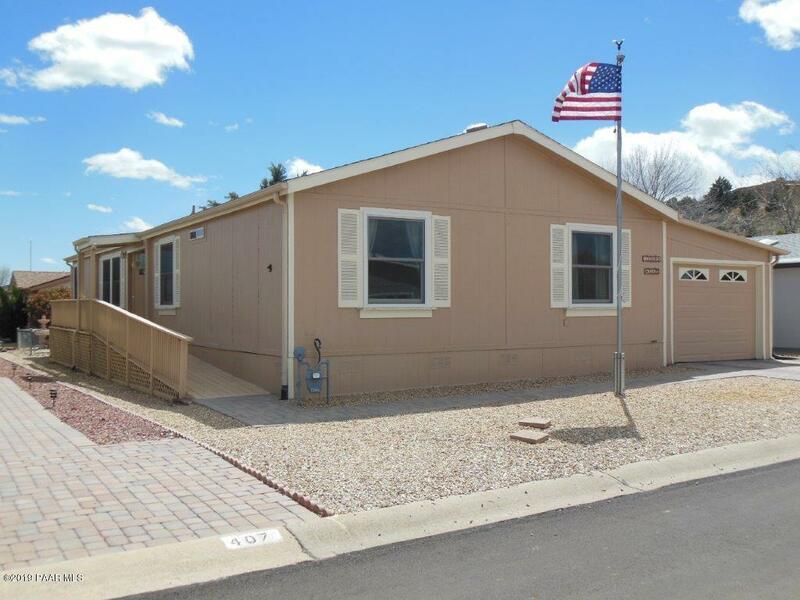 Vacant and will allow quick occupancy with a reasonable, non-refundable escrow deposit. Buyer or selling agent to pay HOA transfer cost and/or Home Warranty. One of sellers in the listing agent." "Beautifully maintained home on its own lot. 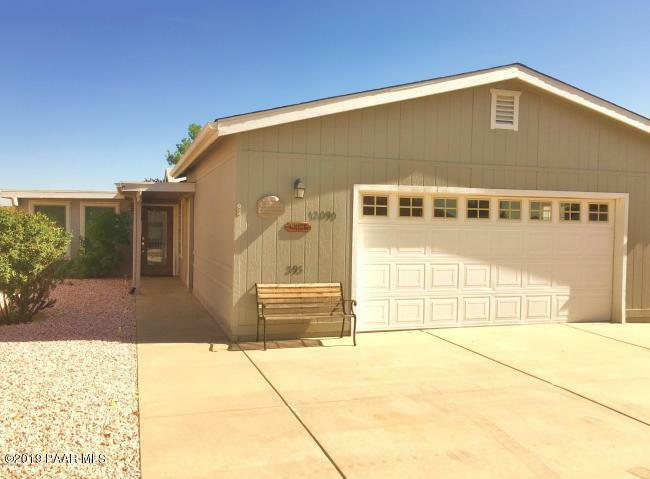 This home features vaulted ceilings, interior shutters, spacious great room, nice sized 2 bedrooms, 2 bathrooms, lovely kitchen with a skylight and plenty of storage. Kitchen also features a gas stove, refrigerator, breakfast bar and pantry. Indoor laundry room with full size washer & dryer included. 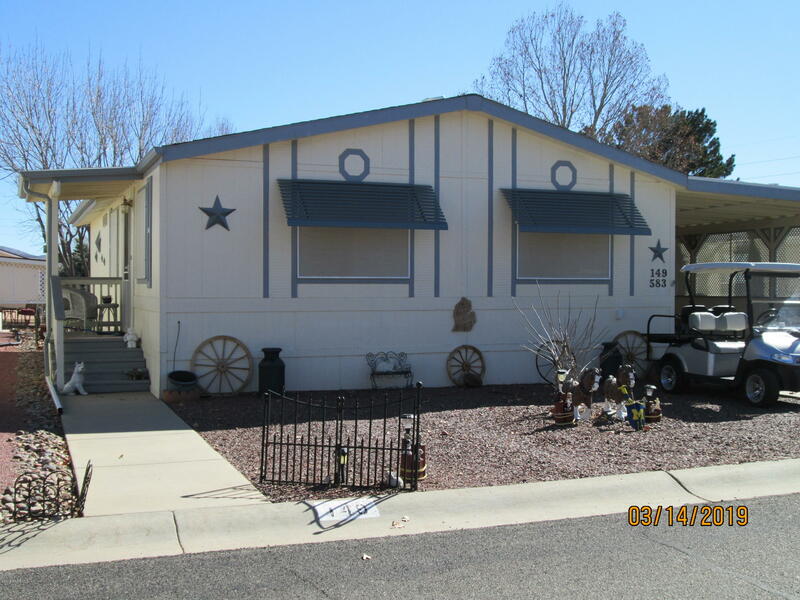 The exterior is also amazing with a carport attached and a golf cart garage. Extra shed and covered gazebo in backyard. This space feels very priva"
"LOCATION, LOCATION, LOCATION IS THE KEY TO THIS EXCEPTIONALLY MAINTAINED HOME THAT IS WELL OFF THE HIGHWAY AND VERY CLOSE TO THE CLUBHOUSE. GREAT FOR YEAR AROUND LIVING OR AS YOUR ''OUT OF THE HEAT SUMMER RETREAT!'' THIS HOME IS BEING SOLD TURN-KEY FOR YOUR IMMEDIATE COMFORT AND CONVENIENCE WHILE SAVING YOU VALUABLE TIME AND MONEY. BRING YOUR CLOTHES AND TOOTHBRUSH AS EVERYTHING ELSE IS THERE TO START LIVING YOUR NEW ACTIVE LIFESTYLE IN THIS WONDERFUL 55+ COMMUNITY. 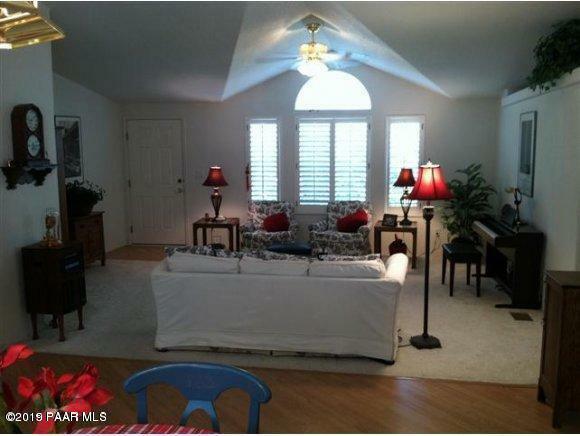 ENJOY COUNTLESS HOURS AT THIS"
"This is a great home in the Villages !! Move in ready ! Submit all offers ! Additional add-on , Grandfathered in, for more square footage, Owner will carry 40K ,for 5 years. . Living room,,bdroom and half bath in addition. This home has an additional loft with high windows and raised ceilings for larger feel and beauty. Refrigerator, washer & dryer convey/.Wood burning stove/ New front door, neutral carpet, just professionally cleaned. . This lot in the VIllages is across the street from the Re"